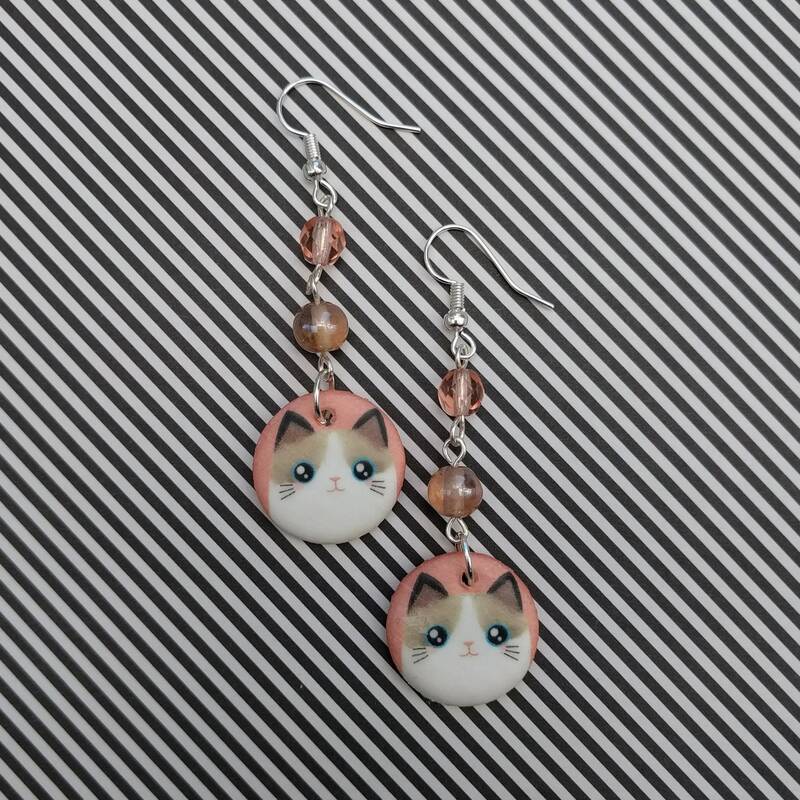 Beautiful cat earrings featuring decoupaged polymer clay components which have been teamed up with matching beads and then finished with silver plated earwires. • Each earring hangs approximately 2.5" (6-7cm). • These earrings very lightweight to wear and would suit any earring loving individual.